When your automobile is overheating and emitting steam, skidded off the road into a ditch, or has broken down due to mechanical faults, it is time to call for a roadside assistance or towing company. Most towing companies are operating 24-hours because vehicle breakdowns can never be predicted. They will arrive at their clients or customers locations in 30 minutes or less (subjected to traffic and road conditions) to provide assistance. 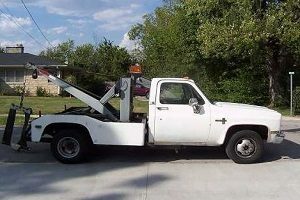 People may think tow trucks use hooks to tow the vehicles, which may have a high chance of damaging them. However, this is not the case. With improvements in technology, tow trucks have improved to use other equipment rather than tow hooks. The old hook-and-chain towing method of the past, which relied on strong metal car bumpers, no longer work on bumpers of newer types of vehicles; many of the vehicles are made of lightweight fiberglass. The modern tow trucks of mainly have these towing methods; sling, wheel lift, flatbed and integrated towing. They are all improved designs to the old hook and chain. Sling-type wreckers or tow trucks utilizes large rubber slings to lift one end of the vehicle. The rear or front wheels are left on the ground. A crossbeam, wheel dolly, and spacer blocks are used to keep the vehicle body and transmission free from damage during transportation. Many companies are using the wheel lift tow trucks. They work similar to the sling tow trucks, but they cradle a set of wheels and support the vehicles using their suspension instead of the axles, undercarriages or bumpers. The wheels are prevented from bouncing out of their cradled positions using towing straps. The front pair or rear pair of wheels are also left on the ground surface when being towed. The flatbed tow trucks can let the towed vehicles rest onto the platform or ramp (known as flatbed) at the back of the trucks. The towed vehicles can, in fact, be driven up onto the flatbed. The flatbed platform can be tilted using hydraulics, and the vehicles can be driven up. There is no need for the vehicles to have the wheels be in contact with the ground surface. 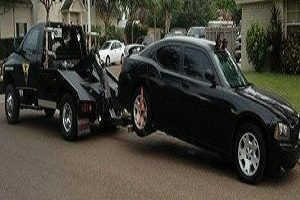 Flatbed towing is best used for luxury, exotic and high-end cars, because they need great care to be towed and transported. By using flatbed towing, the risk of damage is almost none. 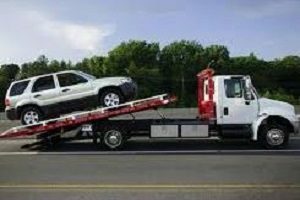 When long distance towing is necessary, companies will also consider using the flatbed tow trucks. The downside to flatbed towing is they are longer and more difficult to maneuver. They are also too tall for some garages and parking ramps. The information provided will help the towing companies access and determine the best towing method the situation. For instance, wheel lift towing is used for towing in narrow spaces and low-clearance parking lots. Flatbed towing can be used for preventing drive-train and transmission damages, or for towing four-wheel-drives. The price for towing services may vary depending on the situations. Some companies will charge by the hour, other will charge by the job.